Singer-songwriter Taylor Swift broke out in the music game at the age of sixteen. Now, thirteen years later (coincidentally, her lucky number), she has become quite the household name. Love her or hate her, you can’t deny her star power. 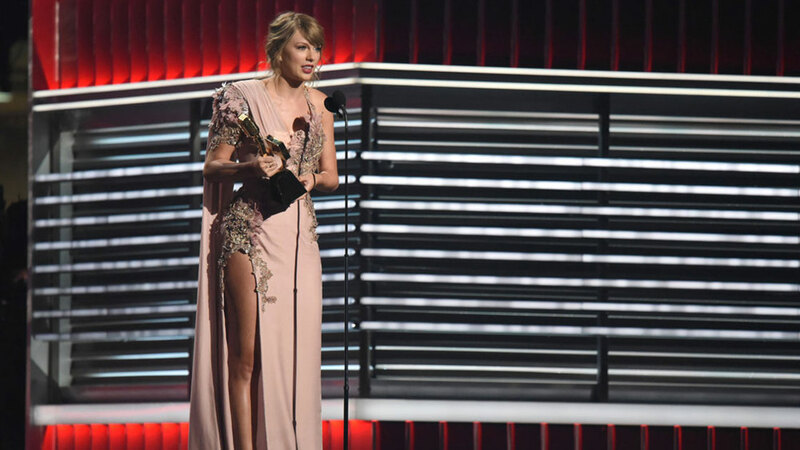 In fact, she just won the 2018 iHeartRadio Music Award for Tour of the Year for her Reputation Stadium Tour (you can watch it on Netflix) that wrapped up last year. It’s no secret that her songwriting is very personal, each song telling a very clear (and oftentimes relatable) story, and each album feeling like a book. Ever wondered which actual book would correspond to each of Taylor Swift’s albums? Wonder no more! There is a sort of youthful innocence conveyed through this debut album (which isn’t at all to downplay the very real pains it expresses) that calls for a middle-grade novel. Enter: Ann Hood’s She Loves You (Yeah, Yeah, Yeah). 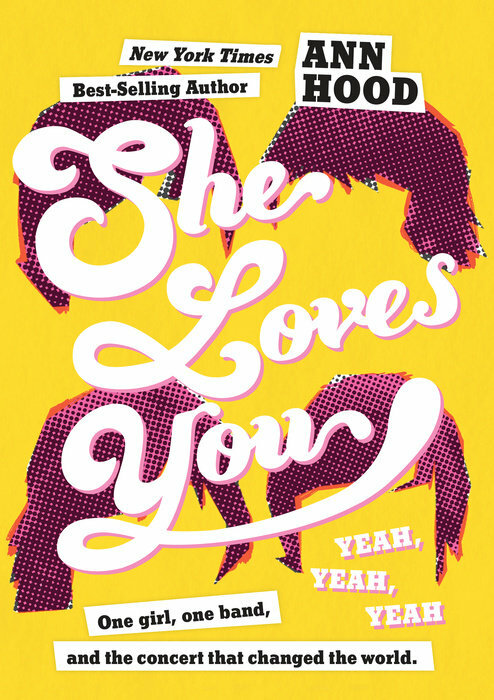 In this story, the year is 1966, the Beatles are all the rage, and twelve-year-old Trudy Mixer is going through a rough time, between tough times at school and dealing with an ever more distant workaholic father. One day in August, she decides to see the Beatles in Boston on their final world tour and goes off on the journey with the other members of her school’s Beatles fan club (now tragically down to only three people). Because is there any pain a meeting with Paul McCartney can’t fix? The most obvious connection between She Loves You (Yeah, Yeah, Yeah) and Taylor’s debut album is the focus on a music artist/group. For Trudy, it’s the Beatles. For Taylor, it was country music artist Tim McGraw, as evidenced by the song of the same name. However, more fitting lyrics are from “A Place in This World,” in which Taylor sings: “I’ll be strong, I’ll be wrong/oh, but life goes on/oh, I’m just a girl/trying to find a place in this world.” After all, Trudy’s story is about growing up too. Fearless is Taylor’s sophomore album (released in 2008, and the most awarded album in the history of country music). Not only did we see a slightly more grown up (but still very fetal) Swift, but we also got hits such as “Fifteen,” “Love Story,” and “You Belong With Me.” As with any good art, this album takes you on a roller coaster of emotions, but there’s just something about it that remains sweet, heartwarming, and full of feeelsssss…. 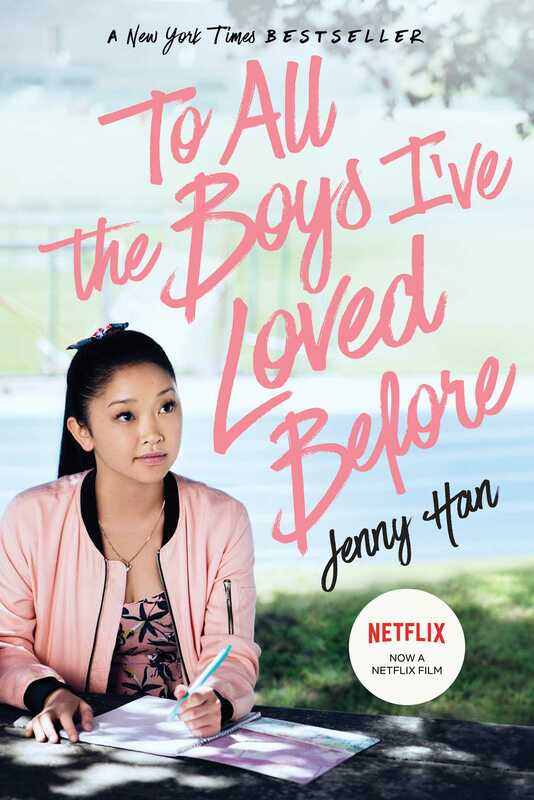 …..a lot like To All the Boys I’ve Loved Before by Jenny Han (see what I did there?). This cute story is about sixteen-year-old Lara Jean, who writes letters to boys she has feelings for (kind of like a certain songwriter we know and love). Of course, she has no intention of ever mailing the letters and instead keeps them in a special box that her late mother owned. One day, her worst nightmare comes true: the letters (all five of them) have somehow been sent out, and now she has to deal with the aftermath. Luckily for her, some good may come out of this (in the form of one very lovable boyfriend). The main lyrics that come to mind for this novel are: “We’re driving down the road/I wonder if you know/I’m trying so hard not to get caught up now/But you’re just so cool…” (from “Fearless”). In the song, Taylor sings about a romantic interest that made her feel brave and open and well...fearless. And that’s exactly what happens to Lara Jean, especially the part about herromantic interest being “just so cool.” Another fitting track from the album is “The Best Day,” a song that Taylor wrote for her mom to show how much she means to her and how much she’s done for her. The situation in the novel isn’t exactly the same but family is definitely a very important theme. Taylor’s third studio album, Speak Now (released in 2010), evokes thoughts of romance, fairy tales, and enchantments...but with a dark/sad side. One of the biggest tracks from that album is “Mean,” a song about being bullied and unfairly criticized. Soon after the album’s release, it made it into the Guinness World Records as the fastest selling digital album by a woman artist. 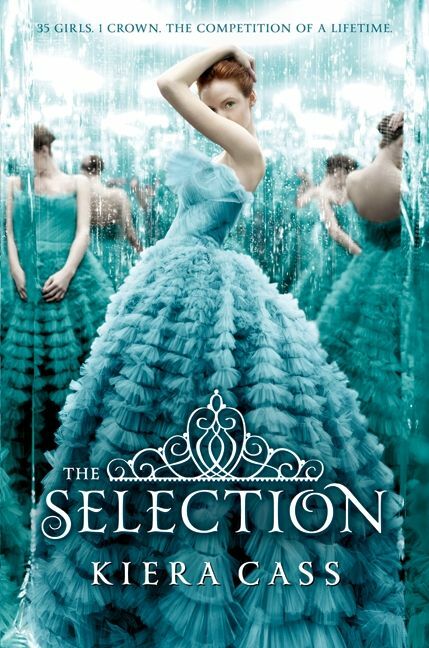 How does Speak Now relate to Kiera Cass’s The Selection series, you may ask? In the fictional (and dystopian) world of Illéa that the main character lives in, your luck in life is determined by your caste number. The numbers range from one to eight, and Ones are at the top of society. The royal family decides to hold a contest where 35 eligible girls from different castes will compete (on television) to win the ultimate prize: marriage to Prince Maxon, thereby securing their life as a One. America Singer, a Five, is very hesitant to enter the Selection, despite the urgings of her mother, but finally gives in. What ensues is a whirlwind of love, jealousy, betrayal, catfights, oh, and dangerous rebels...because of course. It’s The Bachelor but the losses are much heavier. One of the songs from Speak Now that comes to mind for The Selection is “Haunted,” with lyrics including: “You and I walk a fragile line/I have known it all this time/but I never thought I’d live to see it break...” This is not applicable to America and Maxon per se, though, but America and a certain *other* character (who shall remain nameless!). Another appropriate song would be “Better Than Revenge” (for reasons that would be obvious to those familiar with the song and the series). You’ll just have to read the books to find out what I’m hinting at. Red was definitely a more mature Taylor Swift album and a departure from the magical fairy-tale masterpiece that was Speak Now. Gone was the wide-eyed hope in a love that would grab you by the hand after a fight and say, “I fell in love with a careless man’s careful daughter/she is the best thing that’s ever been mine” (lyrics from her song “Mine” from Speak Now). With Red we got experimentation with genre and sound from Taylor, with not-so country-pop but still great hits like “22,” “I Knew You Were Trouble,” and “We Are Never Ever Getting Back Together.” It was truly a time to be alive. 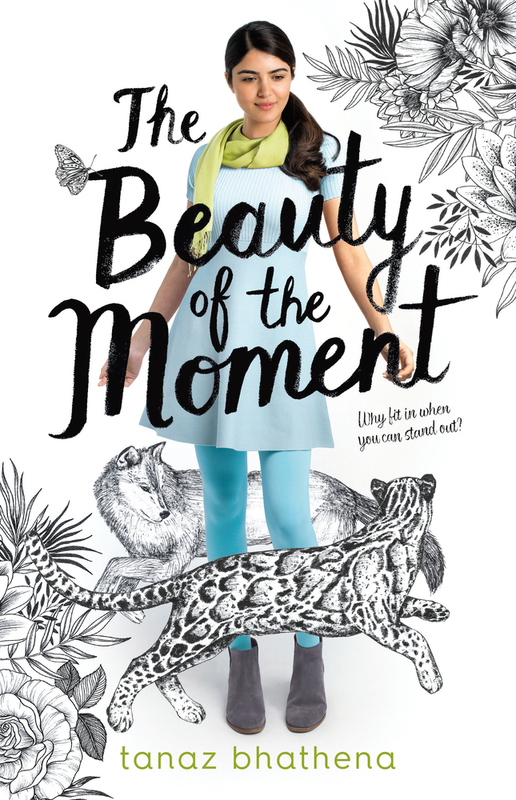 The Beauty of the Moment by Tanaz Bhathena would be fitting for this album. It’s about Susan, a studious and well-behaved girl who’s finishing high school in Canada now, and Malcolm—a boy with a reputation as a troublemaker. Susan has to deal with the struggles that come with being in a completely different environment and being the new girl, with parents who no longer seem to be in love, and with a desire to be an artist, though it goes against the wishes of her (super strict) mom and dad. Malcolm is dealing with heartbreak, a mother who died from cancer, a lack of motivation, and a father he can’t respect. There are so many reasons why it wouldn’t work between Susan and Malcolm (starting with the fact that Susan isn’t allowed to date), and yet it’s hard to resist a connection of this magnitude. Lyrics that would fit this novel are: “....and I never saw you coming/and I’ll never be the same” from the first song on Red, “State of Grace.” If that doesn’t sum up Susan and Malcolm, I don’t know what does. Or lyrics from “Everything Has Changed” featuring Ed Sheeran (“…and all my walls stood tall, painted blue/but I’ll take ’em down and open up the doors for you”), or from “Begin Again,” if you think about their relationship from Malcolm’s point of view (“I’ve been spending the last eight months/thinking all love ever does is break and burn and end/but on a Wednesday in a cafe, I watched it begin again”). Additionally, based on Susan’s initial feelings toward Malcolm, a lyric or two from “I Knew You Were Trouble” could work. The next body of work to come from Taylor was 1989 (inspired by the year she was born), an album (and era!) of carefree, self-assured fun. This was her official jaunt into true pop music (no more chasing the “two rabbits,” as she put it, of country and pop). This also took us back to an album that was truly sonically cohesive. Not only did the lyrics and music match perfectly on every track, but they all came together to tell a complete story from beginning to end. Thanks to 1989, we got hits such as “Blank Space,” “Shake It Off,” “Bad Blood,” and “New Romantics,” and she got another Album of the Year Grammy (making her the first solo woman artist to win the award twice). 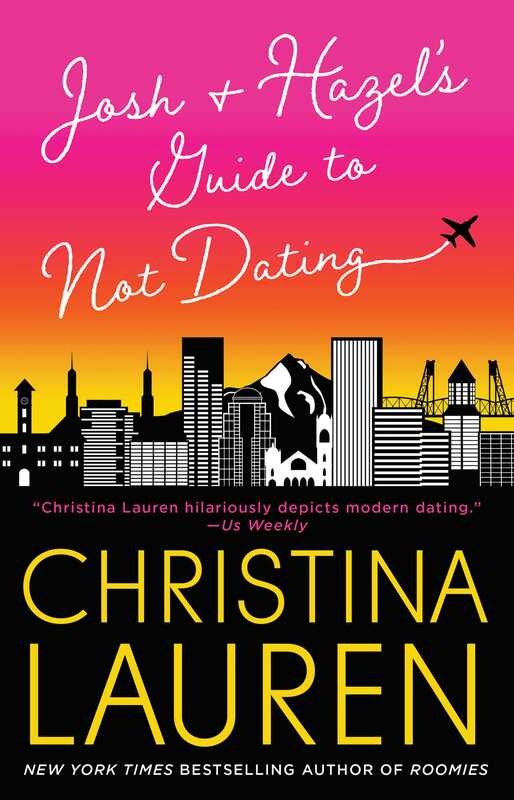 The overall vibe and tone of that iconic album matches the overall vibe and tone of Christina Lauren’s Josh and Hazel’s Guide to Not Dating. In this novel, we get to know the playful and quirky Hazel Camille Bradford, and the mellow, more serious Josh Im. They met in college but don’t become close until a decade later when they meet again through Josh’s sister (and Hazel’s new best friend/fellow teacher). Could the fact that they keep ending up on progressively worse double-blind dates (with everyone but each other) be the universe’s way of saying there’s something more between them? There is one particular lyric from the song “Style” that goes: “...and when we go crashing down, we come back every time/ cause we never go out of style...” and somehow that seems fitting for Hazel and Josh. After all, Hazel doesn’t make the best first impression when they initially meet (or during most of their brief interactions after that), and they were separated by time, and yet they still found themselves back in each other’s lives. There’s also a few lyrics from “New Romantics” from the album’s deluxe version that make sense here (“heartbreak is the national anthem/we sing it proudly/we are too busy dancing, to get knocked off our feet”). Taylor’s latest studio album (to date) Reputation is all about….you guessed it….her reputation. She’s definitely had her fair share of misrepresentation in the media and disdain from the general population, from being painted as a serial monogamist who only dates for songwriting material (“watch out, she’s going to write a song about you!”) to being considered a snake. With this album, Taylor acknowledged and took back the narratives surrounding her reputation, even going so far as to sell snake-themed merchandise. It gave us tracks like “Look What You Made Me Do” (the introduction to the whole era), “End Game,” and “Delicate” (whose video won the 2019 Best Music Video Award at the iHeartRadio Music Awards). 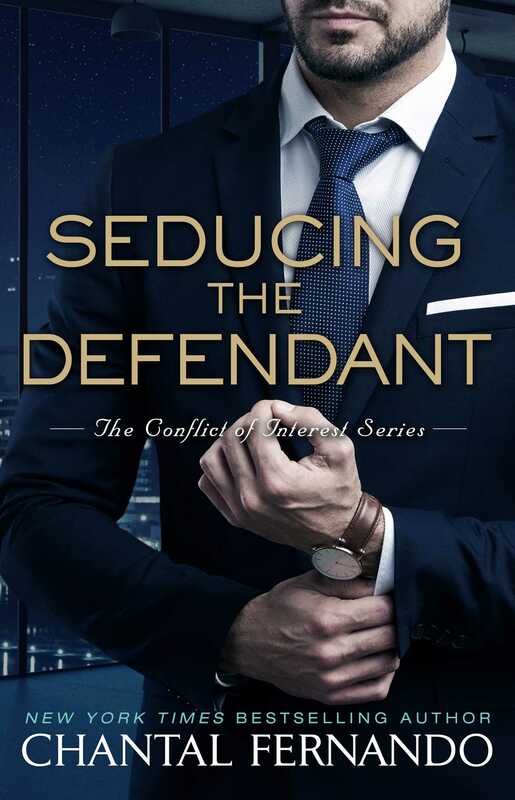 This very mature and adult album would be the book Seducing the Defendant by Chantal Fernando. This novel tells the story of Jaxon Bentley, who is a career-driven criminal lawyer. One of the clients he is asked to represent is Scarlett Reyes, a woman accused of murdering her husband, who was a police officer. With all the evidence against her, it’s a very cut-and-dried case...or so Jaxon thinks. He meets Scarlett for the first time and begins to feel some doubt about her guilt. After digging, Jaxon realizes there’s a connection to a notorious motorcycle club, which makes the case even more difficult than he thought. And the very palpable attraction between Jaxon and Scarlett is not making things any easier. If anybody can relate to Taylor’s frustrations about her bad reputation, it’s Scarlett. After all, what’s a worse reputation to have than being considered a murderer? In this situation, the lyrics: “This ain’t for the best/my reputation’s never been worse so/you must like me for me” from the song “Delicate” seems all too fitting. So do the lyrics: “...and you heard about me, ooh/I got some big enemies” or “...reputation precedes me/they told you I’m crazy/I swear I don’t love the drama, it loves me” from “End Game.” Can Jaxon look past how bad things look on the surface and be the King of her (Scarlett’s) Heart?